The more you know about measuring your exercise performance in objective ways, the more you realize how haphazardly most people train. 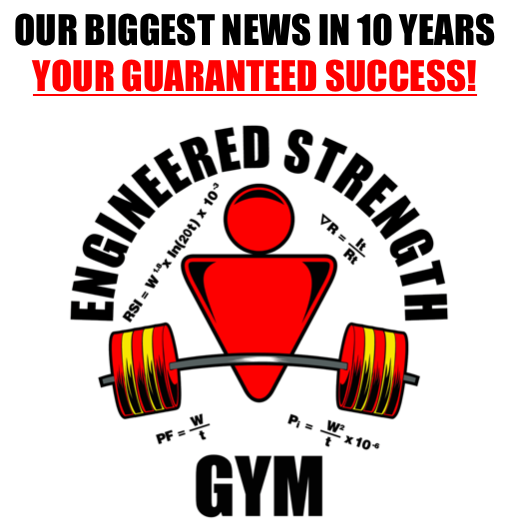 The members of the new ENGINEERED STRENGTH GYM are enjoying the benefits of having their workouts measured for momentary intensity, sustained intensity and total volumetric intensity among other things. That means training decisions can be made on hard facts instead of by feel, instinct or chance. When you do that you can make consisted progress with every exercise on every workout. Below is a graph of the actual progress of eleven workouts of a member of our ENGINEERED STRENGTH GYM. This is exactly what you want to see. 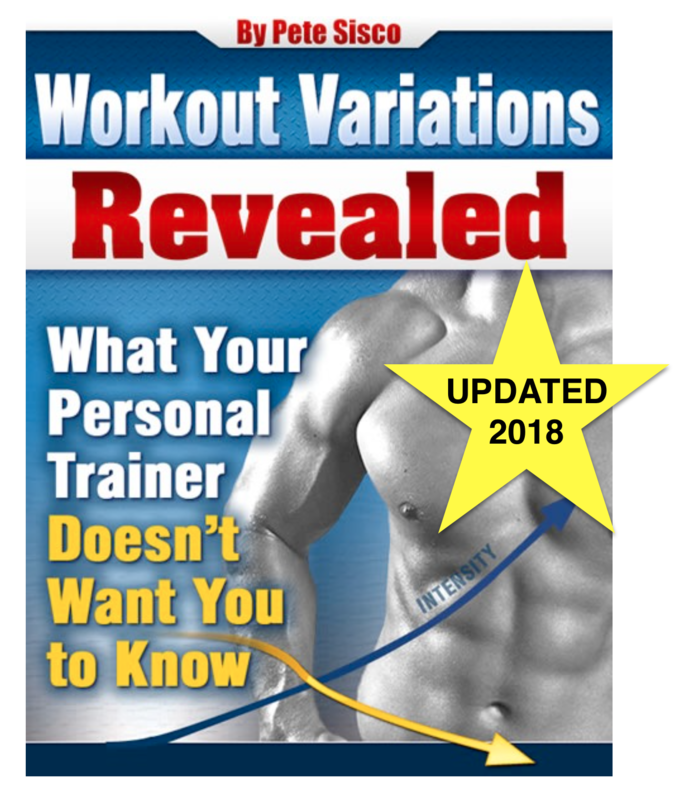 The intensity (in this case the Power Factor – with Static Contraction workouts we measure Relative Static Intensity) of each exercise is increasing on each workout. Have your last 11 workouts gone like this? Will this person’s graph keep showing perfect progress like this? Probably not. The fact is, different muscle groups improve at different rates and recovery time is always changing due to increased demands on the whole body. So pretty soon one or more of these will decline and that’s a clear signal to make adjustments in training. But you only know exactly what adjustments to make if you have a lot of numbers numbers to guide you. That’s how to engineer success. Once you have objective, meaningful quantification of all of these elements (and more) you can make progress just like the person with these graphs has. Who keeps track of all that stuff? Nobody, that’s who. You just lift the weights, we do everything else. I see that, when I do cardio for calorie (fat) burning I should do it with low intensity. Is there any rule of thumb about intensity? For example 60% of maximum heart rate? I happily say: your method works for us too. We can incrase exercise performance every workout. We ran out of plate, so we switch to PF but only we do static conraction in 3 min time frame. I don’t study cardio or offer a cardio program. We’re all about muscle building. However, I think the future of productive, efficient cardio training is the HIIT that involves brief bursts of all-out intensity. That type of training is demanding and proper rest intervals will need to be calculated. I just wanted to share something “weird” that happened to me today. I haven’t done workout B for like 4 months (last workout was 2 months ago) because I was lazy and didn’t want to go to the gym. shoulder and triceps exercice numbers doubled almost ( the others two were ok: 1/8 increase) and I think I could’ve lifted even heavier. I really want to see where this is taking me. The only thing that bothers me is that it takes too much waiting: 2 months for one workout? isn’t that a bit too much? If your results improved it’s obviously not “too much waiting” – it’s the correct amount. Remember, asking your muscles to grow faster is like asking your hair to grow faster. How can it be done? Hey ! Pete I am 48 and still trying to gain some muscle more definition. This mass gain is it really moving the weight 4to 6 inches or is that wrong I tried static holds on this workout also after the 6 inch movements. I just want to the most out of this workout! I don’t think I understand your question, Ron. I’m now back on Static Contraction. I thought my body was strong enough so did A and B together in one session. What a bad idea! It effected my CNS and almost shut down my body. I felt weak and sore for two weeks and ended up with a bad cold. I am 74. Hopefully somebody will read this and realize this is a bad idea. My question: should I start over with A and use much lower weights or can I simply start where I left off? I don’t want to have CNS problems again. Thanks. Leslie, there’s nothing wrong with machines or free weights. Especially in the early days before you’ve developed your absolute maximum strength and power. But you should be keeping track of your numbers for every exercise. And the lbs/min you can do on one machine will be very different from another machine. So switching back and forth leaves you in the dark as to objective progress. Pick the barbells or machines you like and stick with those – that’s how you get apples-to-apples comparisons to guide the way you design your next workout.